If the Greens stand aside in Hove, Labour should do likewise in Brighton Pavilion. These are challenging days for the Labour Party, both nationally and here in Brighton and Hove. Even if the national polls are exaggerating the Tory lead, Hove is at perilous risk and aspirations of winning Kemptown are going to be brutally exposed as fantasy. 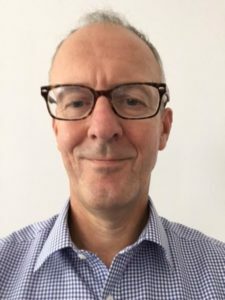 As such the Green Party’s letter to Labour and other parties offering talks on a progressive alliance, and the subsequent announcements that the Green candidate in Kemptown and the Lib Dem in Pavilion will stand aside at the forthcoming election must be taken seriously by Labour members across the city. In my view Labour should reciprocate. If the Greens are now willing to also stand aside in Hove, Labour should not contest Pavilion, where Caroline Lucas is the sitting Green MP. The arithmetic makes such an approach compelling. Peter Kyle’s majority in Hove is smaller than the number of votes polled by the Greens in 2015. And in Kemptown, Nancy Platts (for whom I have served as agent at the last two elections) lost in 2015 by far fewer votes than were polled by the Greens. Of course, it’s not that simple. Labour can’t count on the votes people who have previously voted Green – just as Caroline Lucas wouldn’t be able to assume the support of Labour die-hards. But that brings me to another important reason that Labour in Brighton and Hove should embrace the progressive alliance at this election. Put simply the stakes are higher at this election. The prosperity of our city, the jobs and careers of many of our citizens, our culture and vibrancy, have all benefited enormously from membership of the European Union. Many of our friends and neighbours are EU citizens. In many cases we rely upon people from other EU countries to care for us – as care workers or NHS employees. Unsurprisingly our city voted overwhelmingly to remain part of the EU. This was a position that Labour, the Greens and the Lib Dems campaigned for in Brighton and Hove. This is an issue that unites us. Now a projected Tory landslide, that includes lots of new, emboldened hard right MPs, creates the very real prospect of a Brexit deal shaped by dogma and the preferences of the Daily Mail rather than the concerns of communities such as ours. A progressive alliance in Brighton and Hove should and can mobilise the city’s pro-EU majority around a proposition that the UK should only leave the EU on terms that preserve our prosperity and which uphold the values that we hold dear. Caroline Lucas, Peter Kyle and a likeminded Labour candidate in Kemptown, along with an army of activists, would be perfectly placed to take this message on to the doorsteps of our city and ensure that the Tories don’t win here. There are objections within Labour to such an approach. Some will say we have to give people a choice to vote Labour – that it’s undemocratic and against party rules to stand aside. Perhaps a way through this is to stand a paper candidate, who can explain in one single communication to the citizens of Pavilion the party’s approach at this election. They are not silly. They will get it. Others object because they do not like the Greens and think that this some kind of cynical ploy for political advantage. In many cases this objection will have its origins in years of political competition. It is an unfortunate feature of political tribalism that we demonise and dehumanise our enemies – just as they do us. To them I would say, in an extraordinary time let’s get talking and take each other’s rhetoric (and actions in the case of Davy Jones in Kemptown) at face value. One big lessons for me working as organiser in Hove in 2005 and agent for Nancy Platts at the 2010 and 2015 elections was that the electorate in our city don’t fit neatly into the boxes that we as party activists construct for them. In many cases they are miles ahead of us and we need to catch up. Although we don’t talk about it much, there was a massive amount of tactical voting going on in 2015 that gave a boost to Caroline Lucas, Nancy Platts and Peter Kyle. A guilty secret that we should now acknowledge is that some of that was down to our own efforts to squeeze the vote in different parts of the city. But some it was facilitated through the Vote Swap, a nationwide initiative which did good business in Brighton and Hove. If we start crediting voters in the city with a bit more tactical nous and get our message right we can all help stem a Tory tide that threatens to wash away much of what makes Brighton and Hove such a great city. 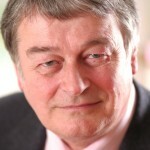 David Arnold is a former Labour Party agent and election organiser. anyone who believes in calling on left & centre party leaders to form a progressive alliance please consider signing this new petition. Ash – a pro-EU Alliance in Brighton and Hove? Unfortunately the UK as a whole voted to leave the EU, and a major part of this vote came from disillusioned Labour voters in the North of the UK fed up with uncontrolled immigration. So this Labour ‘agent’ is working against the views of Labour voters, and of the Labour Party as a whole which supports us leaving the EU. Every party wants us to have a close relationship with Europe- some of us want to control our own destiny and know a bit more about how to negotiate. Why not come clean that this is just a bit of desperate posturing to protect Labour and Green seats (we can safely ignore Lib Dems). APOLOGIES – first word should obviously be Aah not Ash – so much for autocorrect ? Had Labour got it’s house in order and elected an electable leader, and provided credible opposition in the last 2 years, then we wouldn’t find the country in the situation it now faces. We have found ourselves the unwitting benefactors of harsh, unfair and unwarranted right wing policy through lack of credible opposition, and recognising an opportunity to further extend their political advantage, and force through an unpopular brexit strategy, we are now faced with a general election. I disagree with a progressive alliance on the grounds that removing choice from the electorate is whole heartedly undemocratic, and feel the need for such tactics would not be necessary had Labour been more focussed externally tather than internally since the last election. I feel dismayed that having been a life long Labour supporter and never having previously abstained, I have no other option this time than to do just that. What really removes choice from the electorate is the current electoral system, where most seats are completely uncompetitive. As a result, general elections are just about parties wooing a few swing voters in marginal seats. In these circumstances, both tactical voting and electoral pacts are necessary – necessary evils perhaps, but still necessary. This is especially the case given that a re-elected Conservative government will be revising seat boundaries and reducing the number of MPs, the net effect of which will be to tilt the system further in their favour. Remember that at the last election, the Conservatives gained 51% of the parliamentary seats on 37% of the vote. But with 650 seats up for grabs across the country, surely the difference between PR and a FPTP is negligible, assuming that the voting split between the parties varies significantly by constituency. Otherwise the party that had the biggest percentage of votes would get every seat. And wasn’t there a referendum in 2011 in the UK to decide on whether to change the voting mechanism and wasn’t this rejected by over 2:1? Or are you one of those BRemainers or Scottish Nationalists that demand repeat referendums until you get the result you want? It’s entirely possible under FPTP for a party with the biggest percentage of the vote to win every seat, and something like this has happened in some of Britain’s former colonies, with disastrous consequences (dictatorship). There was a referendum in 2011, and PR was not on the ballot paper. It was over AV, as you well know, which doesn’t necessarily reflect what people really want any better than the current system. Clegg’s biggest mistake was settling for this. So, are you one of those Brexiters who believes that everyone who disagrees with them should just shut up? How does this fit into democratic debate? Mr. Arnold’s essay sits oddly with Labour’s 2015 attitude to the Greens in Hove. 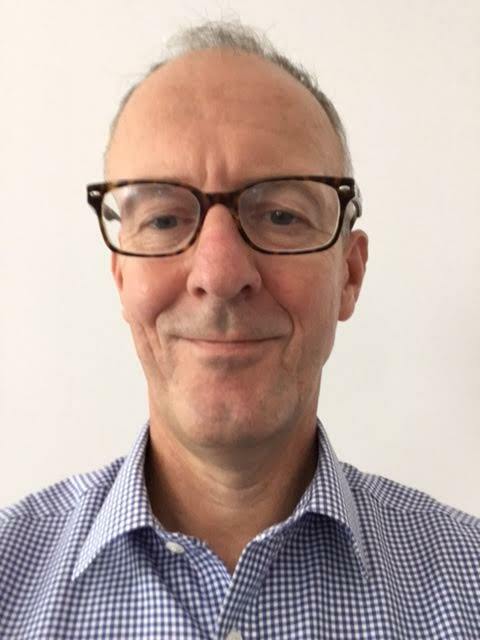 For example, Labour’s erstwhile deputy chair Nicky Easton proclaimed “you should be ashamed of yourself” and its ever-choleric Simon Fanshawe eftsoons asserted that Peter Kyle “thrashed” me in the Election. 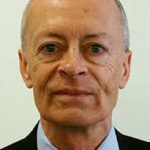 Now, however – by elegant contrast -, Mr. Arnold highlights that growing Green vote which, in the 2015 circumstances (of ensuring that Caroline Lucas’s then-narrow majority increased), was something of a step forward. This was not least for what the leafleting/canvassing process revealed about the terrain. Whether or not Labour stands in Pavilion is irrelevant in this context. Hove is the more interesting constituency, psephologically speaking (and in other ways). It is currently in a ferment. The L Word, as it were. Another aspect of the matter is where the ukip vote will go this time around. There is also the possibility of an increased LibDems vote. Many factors (although one can reasonably say that the all-mouth-and-no-Calvins of Tusc is not one of them). Very interesting Christopher – but please can you re-write this in standard English so that those of us who did not get a degree in advanced long words can understand it without reference to a dictionary of rarely used archaic terms. But good on you for not mentioning the Carnegie ? Too silly. You are so wrapped up in yourself and in presuming to lay down laws for living that you did not grasp that I put in one archaic word as a public service: to draw your built-in ire lest it find another outlet. Meanwhile, i have looked but I cannot find – even from the publishers Wiley – a Gerald Wiley Dictionary of Words. So how is anybody to know which words bear your imprimatur and which are exiled? An interesting thing about words is how they gain, resonate from conjunction. Such as: Carnegie Library. How about ‘erstwhile’, ‘ever choleric’, ‘eftsoons’, and ‘psephologically speaking’? You may think my comments silly – I think your use of words shows the humorous pomposity we remember from ‘The Good Old Days’. Just as a clue – writing is supposed to a form of communication – your comments do not achieve this. Whilst we’re voting for a government it’s equally important to have a strong local MP. For those voting in Hove it’s worth remembering how useless Peter Kyle has been throughout the train strikes. He made very little comment in parliament and barely responded to constituents about the matter. On the flip he side seemed happy to get soundbites in the papers. If he’d put in as much effort pushing the unions and Govia as he did his public profile it may have sped things along. 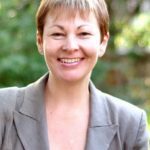 Whilst I’m not a Green fair play to Caroline Lucas, she was very vocal in parliament and constantly campaigned for Brighton and Hove residents throughout the strikes. I think if Labour were to pull out of Bristol West or Vauxhall (where fervent leaver Kate Hoey, dubbed the Labour kipper, is likely to lose the seat to the Greens or Liberals) then standing down in Hove would be reasonable. Labour standing down in Pavillion is of no benefit, given their low standing. It’s great that the minor parties are negotiating with each other to take away the right of voters to decide who will be their representative in Parliament. I hope this arrogance won’t backfire and voters decide to vote for more honest parties instead who listen to them – remember what happened with Trump and BRexit! What on earth are you talking about? Parties are not mandated to provide candidates in all seats and nobody can tell voters what to do. If you don’t like it, I suggest you join me and others campaigning for a fairer voting system. How is this different from UKIP standing down in favour of certain Tory candidates, which is happening in several places at this election? There is a fine line between listening to voters’ concerns and pandering to unreasonable prejudices. Interesting that there do not appear to be any ukip candidates in Hove and Brighton yet. Not Labour ones in Pavilion and Kemp Town. Well after your fine efforts last time, when you pushed UKIP into fourth place in Hove and Portslade, I assume they must have run away crying. I guess they feel there is no point to having a UKIP party anymore as they have achieved their objectives with the referendum and the result of the vote?